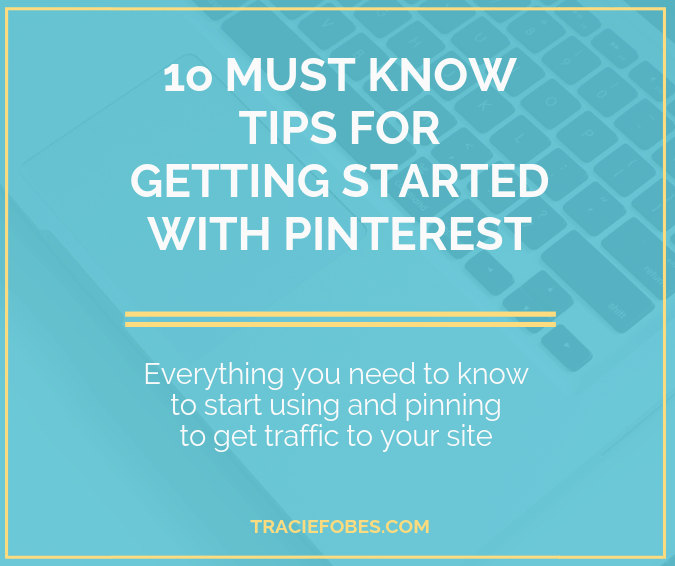 If you are not yet using Pinterest as one of your social media platforms, you need to. Why? With more than 250,000,000 annual visitors, Pinterest is one of the fastest platforms. Read these ten simple tips for getting started on Pinterest. When most people think of Pinterest, they figure that they don’t belong. After all, it is a site filled with fashion, beauty, recipes, and crafts. While there is a lot of this on the site, it is so much more than this. Pinterest is a visual search engine. Users visit the platform to learn about everything from how to core an apple to how to get a zipper unstuck. They look for tips on saving money, parenting ideas, travel tips ….. and so much more. As with any new platform, there are right and wrong things you can do. 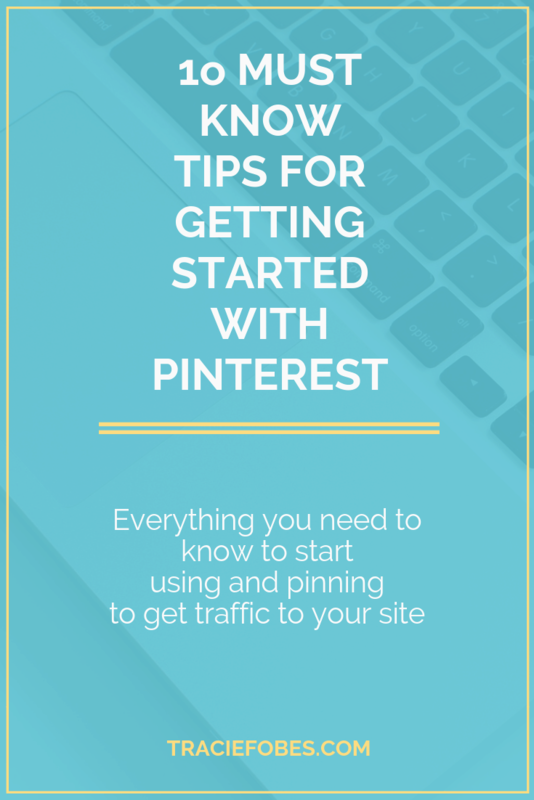 The best way to get started with Pinterest is to understand pinning strategies. 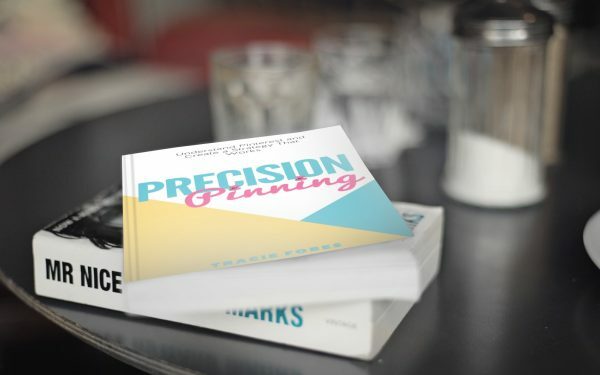 The book Precision Pinning is a helpful guide that has helped countless people learn how to use Pinterest to send massive traffic to their websites. Visit Pinterest and get signed up. It is best that you do not sync with your Facebook account, but rather, create an actual login via email and password. That way, if something happens with your Facebook login, your Pinterest account is not negatively affected. Since you are using this for your business, you need to create a business account. 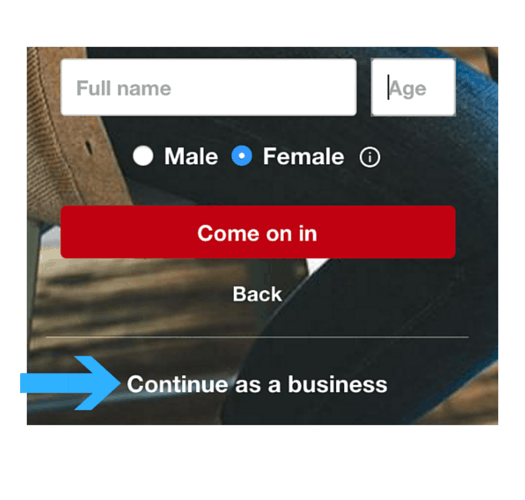 Instead of entering your name, age and gender, click on the Create Business Account link. It will pull in your email and password for you. You will need to enter the details for the remainder of the questions. Once created, you can select categories to add to your feed. Select those topics you feel would best connect to your site and brand. When you create your account, you need to make sure that your description tells not only who you are, but what it is you can provide to the reader. This way, when they visit you, they know right away what they can learn from you. Not only does this help educate the reader, but it also helps you get found through search. 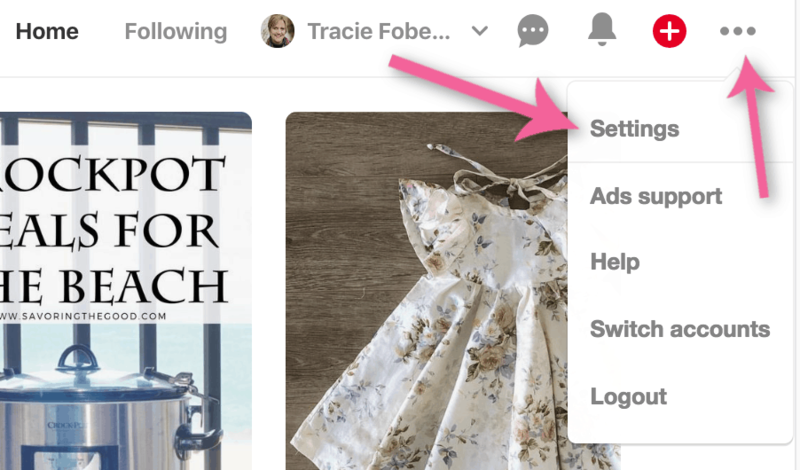 Users can search for pins, boards, and even pinners. By having a well-written description with strong keywords, will be paramount to being discovered and growing your presence. To change/create your profile look at main menu at the top of the site. There will be three dots at the very end. Click on this to expand it and then select settings. 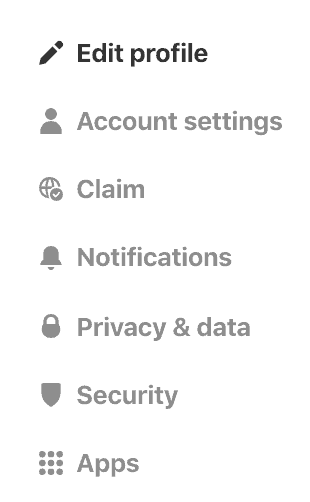 You will find that you can now edit all of the settings on your account. Go through each section and update them as needed. In this section, update your email, name and login details. It is very important that you claim your account. This is how you get the stats for the pins from your website. Click the claim button. Enter your URL into the box and select claim. You will get a code that you will need to enter on your site. To add the code, you can follow this simple guide from Pinterest. You can also install the Headers & Footers plugin and add it there. Once you are done you will see that your site has been claimed as there will be a green checkbox next to your site name. Boards are where you pin your content and the content of others. Look at boards like folders. You will have boards for each type of pins you will share in your profile. The very first board in your profile should be your Best of Me board. Call it that. For instance, the first board on my profile is The Best of Tracie Fobes. The description of the board also includes the keywords and details which tell readers what they will find pinned in that board. When creating the title for your board, avoid “cutesy” names as those are not terms for which people will search. For example, don’t call a board “Easy Peasy Dinners.” Instead, call it “Easy Dinner Recipes.” People will not search for easy peasy, but they will search for easy dinner recipes. Doing so can instantly bring your board to the top of the search list. To start, you will want to have at least 10 – 15 boards. That gives your readers a good portfolio of content and a reason to follow you. If you happen to blog about parenting, your first board could be the best of you board. You could add boards such as newborn, toddler, preschool, grade school, high school, education, discipline, etc. (of course, with proper board names and descriptions). Look at the pinners you follow and see what they are doing. You do not want to copy them, of course, but you can get inspiration from what they are doing to help you develop your boards. 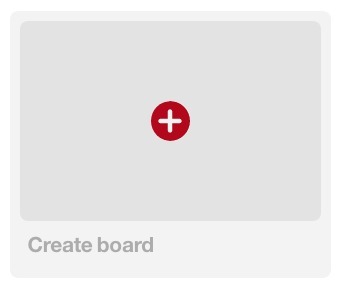 To create a board, visit your profile and click on the red plus in the create a board image (the very first board you will see beneath your profile). They matter. And they matter a lot. You must have a good, high-quality image on your pins. They should tell a quick story as to what they will learn in your article. Also, adding text overlay with your title will finish telling the story. Look at these two examples. You can see on the first one; we know nothing about the post. The image tells me nothing. However, if you notice, the second image tells me what I need to know. The image shows me a clean space, which works well with the title. I would click on the second image much more often so I could learn more about it. If you can’t take photos, for whatever reason, you can purchase quality images from reputable stock sites such as depositphotos.com and 123rf.com. When you upload the pin to your site, you want to make sure that the proper description pulls when it is pinned onto Pinterest. Your description should include keywords that people search for on Pinterest. 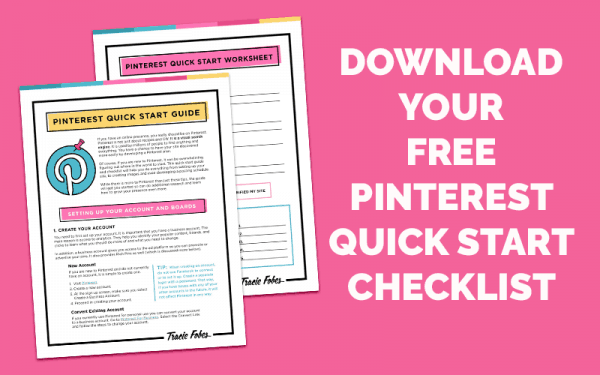 A simple trick to find the right Pinterest keywords is to use the search tool yourself. Go onto the home page and type in any phrase for your post. In this example, I have typed in the word BUDGET. When I hit enter, Pinterest brings up a list of other search terms people use in addition to the word budget. You will see here: Printables, Tips, Worksheets, Planning and Meals (others came up, but they are not in the screen shot). Now, when you write your description for your pin, you can incorporate the keywords to help your pin get discovered. Make sure your description is written in an easy to read format (do not just stuff it with keywords) and includes hashtags that relate to the pin as well. The best way to add the description is to code it within the image. I love the way Kristie Hill explains it, so I am not going to share it here. (Hint: You can use this to update board descriptions and your profile so that you can be found). Pinterest wants long images, not horizontal ones. That means if you need a horizontal image on your site for your blog size, but want something different to be pinned, you’ll have to make more than one size. You can use a plugin such as SocialPug to ensure the correct image is pinned. 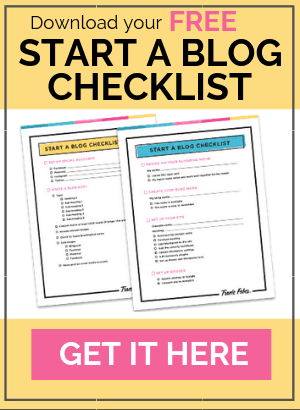 (You will add the blog sized image to your post and then add your Pinterest sized image to the plugin and make sure the correct one is pinned time and time again). The recommended image size for Pinterest is anything that is a ratio of 2:3 (but no longer than 1260). The optimal size tends to be 600×900 or 735 x 1102. That creates a long image on the site when shown to users. You can use a site such as Canva or PicMonkey to make your images. 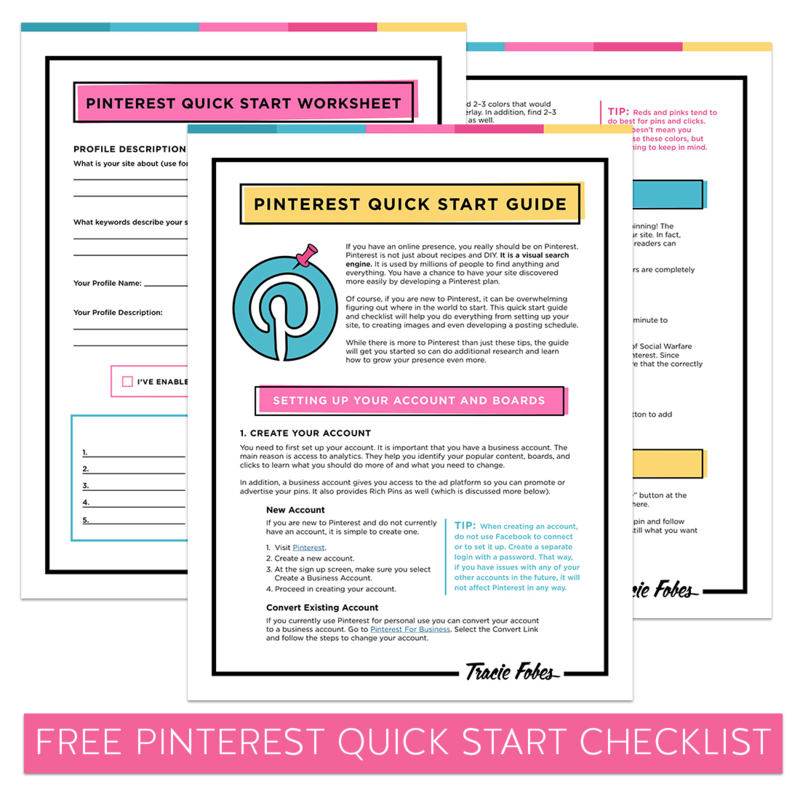 They offer a Pinterest-sized image template you can use. Using it provides you with the exact dimensions you need to make the image the right way. If you look at the image shared above, you will notice that one is much longer, which takes up more space on the page. This gives the image more Pinterest real estate and gives it much more visibility. You can add elements and text to personalize your images and make them pop really. One great feature about Canva is that you can finish one image and then, use the resize tool and change the size so you can use it for another format. For instance, if you make an image you want to pin and then want one for your website and then need another one for Facebook and one final one for Instagram, you can do that by merely using the resize feature. Just make sure you download the image before you change the size. 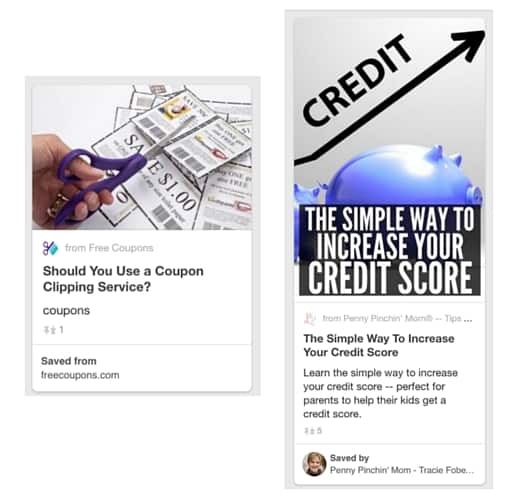 To learn how to create these images, read the details included in this post about the 6 Tips to Help Your Pins Go Viral. If you ever look through the pages and boards of some of your favorite pinners, you might notice that they have a general look to them. They might use the same fonts or colors on all of their images. It is not because they aren’t creative. It is because they are selling a brand. Eventually, you will start to recognize the people you follow just from the font or the overlay on their images. Here are a few pins you will see on my Pinterest profile. You will notice that they all have a similar look and style. This is the brand I created for my pins. When people start to pin more and more of my content, they will recognize that a pin is from me, even before they read the description. It is imperative as it establishes yourself as a professional and trusted resource. Make sure that you also include your site logo and site link on all images. Your watermark and adds more branding. Your image will not only tell the story about the post, but it also lets people know that you wrote it. In the past group boards were an important part of a pining strategy. In June 2018, Pinterest announced that pins to group boards might receive less visibility as they are devaluing group boards. The reason is that group boards were never intended to be used for traffic. Instead, they were to be for collaboration only. For example, a bride may invite her wedding planner and friends to pin to one board so they can share ideas for her upcoming wedding. Even though many boards are no longer working, some boards that have few contributors and very niched content are still doing very well. If you want to try to find some of these boards, you can do so. But, keep in mind that many boards are no longer accepting contributors due to these changes. One way to find boards you can visit pingroupie and search through the list. However, I have found that they are not maintaining that site as well as they have in the past, so it may not be up to date. Another way to find group boards is to search for people who pin the content related to your topic. To start, search for your topic on Pinterest. Then, click on the PEOPLE link. Go into that person’s profile and look at their boards. Locate one that has multiple people in the circle on the cover – as that indicates it is a group board. Click to open the board and read the description and requirements necessary to become a contributor to the board. If you want to be a contributor, make sure you first follow the board. Then, you need to follow the board creator. Click on the very first image you see under the list of pinners and click the follow button. Once you have done that, look through the board description. If the board is closed, then you will not want to go any further. However, it may also tell you what to do to join the board. Follow those steps. If you do not see any way to join the board, you can send the owner a message and ask to join. Make sure you include a link to your profile and blog and let them know why you would be a good fit. Do not take it personally if they say not. If they do not know you, they may not allow you to join. You can email them on Pinterest by clicking on the message icon next to your profile image and then on new message. Type in the person’s profile name (i.e. http://www.pinterest.com/traciefobes is mine, you would start to type Tracie Fobes until my name pulled up). Hi there! My name is ________ and I run the site ________. I came across your _________ board and would love to be a contributor. Here is a link to my profile, so you can see the type of pins I create and the content I share. You will find that our niches and audience do align. Thank you for your time and consideration in joining your board. Finally, check out the profiles of the people you currently follow, who are in your niche. Follow the same steps to try to join the board in that way. Pinterest likes to see consistency. When you pin on a recurring schedule, you are showing this, and your content will have more of a likelihood of your content getting into the smart feed. To get started, you will want to find around 4 – 5 of your pins and pin them at the same time each day. The pin should be posted to your relative boards and any applicable group boards. Make sure you rotate what you pin to each one so that you are not pinning the same item over and over again. Remember that is OK, and actually, good practice, to make sure that you repin the same content over and over again. You will also need to include other pinner’s content. It is important that your strategy includes not only your content but others as well. If you only pin your own things, you may be flagged as spam and could risk your account being locked. 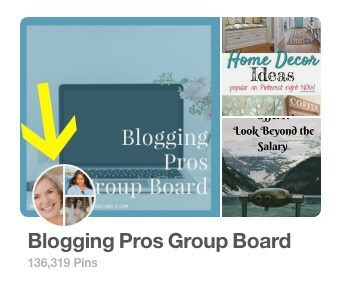 If you are pinning 5 of your own pins daily, then you would want to pin 7 – 8 pins to other people’s content. That would result in about 15 total pins every day. Did you read that – every day?! Don’t skip a day. Make sure you do so regularly. One way to easily accomplish this is by using Tailwind. You can try it for free and then continue with that account. But, the free version will not allow you to schedule content. The cost ends up being $10 per month, but you can sit down and schedule all of your pins for a week or two at a time in just an hour or less. That cost ends up saving you money as it saves you time to have to sit at your computer and pin content. There is, of course, so much more to using Pinterest. However, if you are not yet using it, you need to get started somewhere. These steps should help get you started and on your way to better understanding this platform. I will soon share more Pinterest content including how to create a strategy, reading your analytics and more. So many people are scared to use Pinterest. They think that it is not the platform for them. They do not see how it will do any good to pin content. The thing to remember is that Pinterest is a search engine. People use this to search for posts on ranges of topics. While some are looking for crafts or holiday decor, there are others who want money tips or even travel ideas. Pinterest allows anyone to share anything – no matter the content. In regards to a regular pinning schedule, not sure I am following this. I have about 25 blog posts I have made pins for. I’ve already added them to my boards (although I need to make up more boards). I’ve added some other people’s pins to those boards as well. How do I keep a regular schedule of pinning if I’ve already pinned all of them on the appropriate boards? You will need to use a spreadsheet to keep track of what you pinned and where. You can use this one that I created that you may find helpful.